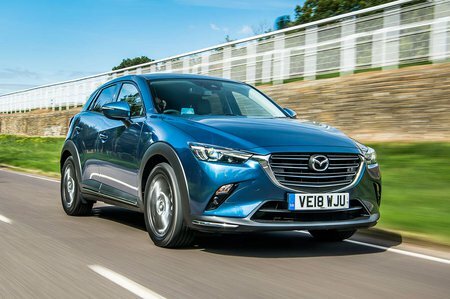 Mazda CX-3 2.0 150 Sport Nav + 5dr AWD [Safety Pack] 2019 Review | What Car? What Car? will save you at least £1,152, but our approved dealers could save you even more. We’re yet to try this 148bhp engine in the facelifted CX-3, but it’s basically the same engine as it was in the previous iteration. It has more power than the 119bhp petrol but produces identical torque at similarly peaky revs, and because it sends drive to all four wheels, it isn’t much faster in the real world. Unless you really need four-wheel drive, we wouldn’t bother.